Ras Al Khaimah Free Trade Zone (RAK FTZ), a leading free zone in the region, has been recognised by the UK-based fDi Magazine, a Financial Times publication, as 'Global Free Zones of The Year,' winning 'Start-Up Support', 'Encouraging Excellence', 'Facilities Upgrades', and 'New Investment' awards. 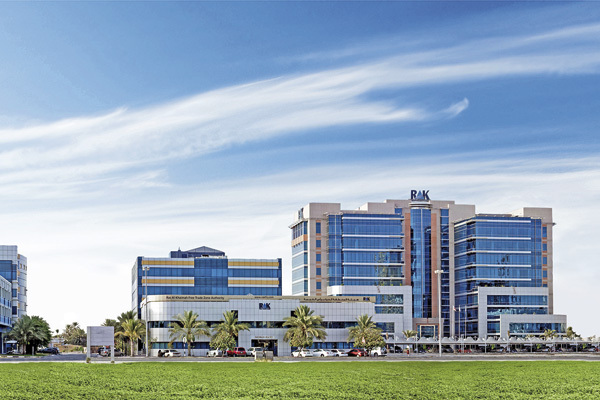 Additionally, RAK FTZ was recently honoured by MEA Markets Magazine’s Business Awards as the 'Best Free Trade Zone' of the year, said a statement. Ramy Jallad, acting chief executive officer, RAK FTZ, believed that the competition for awards like these are becoming tougher than ever due to the increasing number of free zones in the Middle East and globally. “The recognition we received from these two prestigious award-giving bodies, fDi Magazine, and MEA Market’s Magazine, represents our constant efforts to maintain our business-friendly environment and act as an ideal investment hub in the region by delivering outstanding business solutions and exceptional services to investors,” he said. The first free zone in Ras Al Khaimah has also helped a lot of large businesses, SMEs and aspiring entrepreneurs get recognised by initiating several programmes like the RAK FTZ Business Excellence Awards and the currently ongoing RAK FTZ Startup Champ Competition, said the statement.